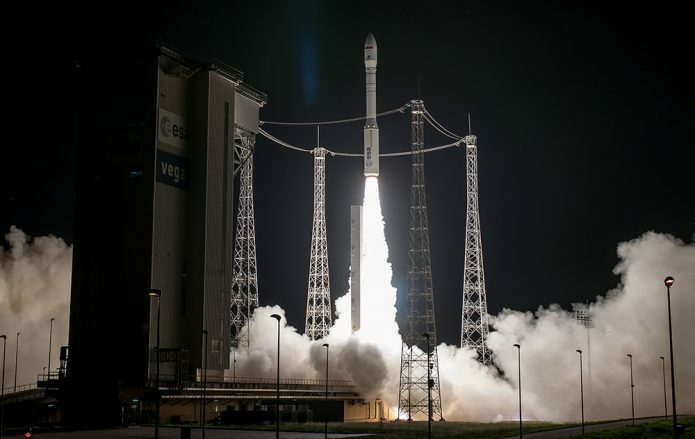 Arianespace lofted the MOHAMMED VI - B satellite for the Kingdom of Morocco on tonight’s mission from Europe’s Spaceport in French Guiana, and in doing so, marked the 13th consecutive success of its lightweight Vega launcher since entering service in 2012. Read the press release on Arianespace’s launch of the MOHAMMED VI – B satellite. A larger version of liftoff photo (above) is available in the Gallery.